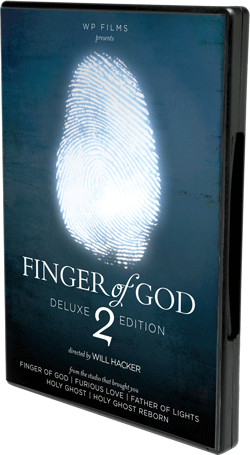 The Finger of God 2 Deluxe Edition includes the original film, as well as nearly 6 hours of extra footage, interviews, teachings and insights. Disc 1: The film, Finger of God 2. Also includes Director’s Commentary. Disc 2: Locations, with nearly 3 hours of extra footage and stories from California, Ireland, Ghana, Germany, and even a bonus episode from Adventures With God! Disc 3: Interviews, with nearly 3 hours dealing with topics like the Heart of God, Friendship With God, The Supernatural, Faith and Doubt, and much more.